Choose from Glazed Apple Green, Turquoise, Mushroom or Oyster. 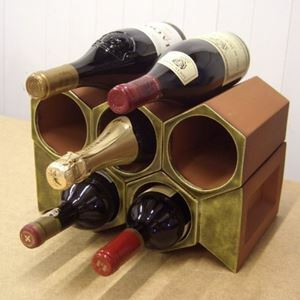 If you want different coloured products, then add each colour separately to your shopping basket. 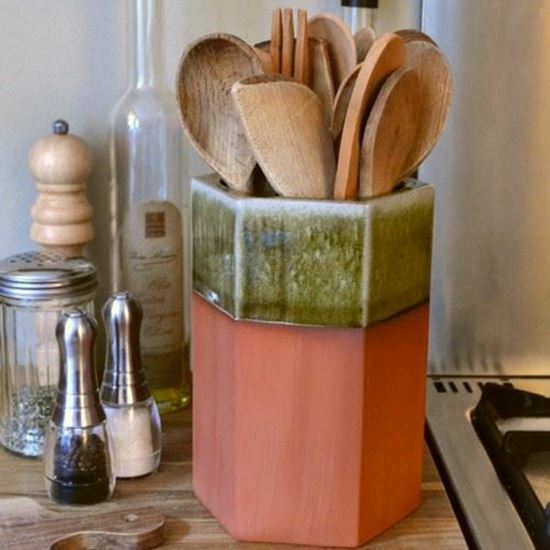 Our utensil holder pots are practical, sturdy & available in a variety of glazed finishes to suit any kitchen. 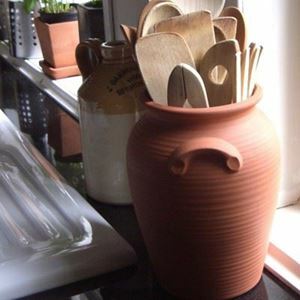 A terracotta utensil pot is an ideal container for neatly storing your kitchen utensils, keeping them conveniently to hand. 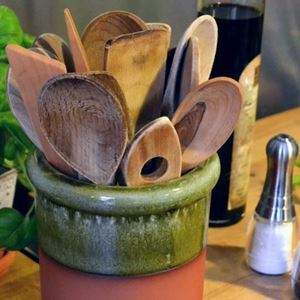 Made to a generous weight for added stability to ensure the utensil pot will not topple over no matter how full you try to fill them! 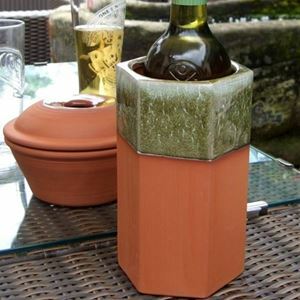 Made in the UK at our pottery studio in Nottinghamshire.